Lady Liberty has been featured on United States coins since the 1700s. She has appeared many different ways on U.S. coins over the decades — as social culture has changed. Yet, the common ideology among all of the different images of Miss Liberty is the same: Lady Liberty is the symbol of human freedom and freedom of thought. She has worn headdresses, caps, and crowns. She has worn flowing gowns, tight blouses, and even no upper body clothing at all. She has been standing, walking, and sitting. Her hair has been let down and pulled up in braids. She has even donned Native American headwear. Miss Liberty is, in every respect, a ubiquitous national icon! The nation has recently seen a bit less of Miss Liberty on circulating coinage than in earlier decades. Yet, when one thinks of U.S. coins, it is difficult not to associate those coins with at least one of many images of Lady Liberty. 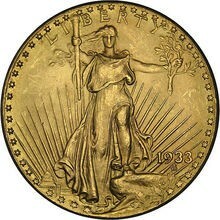 She appears on virtually every United States coin that was made from 1793 through the middle 20th century. 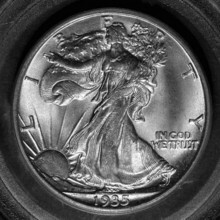 Click to view an image and fun facts about each Lady Liberty coin. *Prices are for the lowest-valued dates from each series. Which Liberty Coins Are The Most Popular? The above list features only a few of the liberty coins which have her image on them. 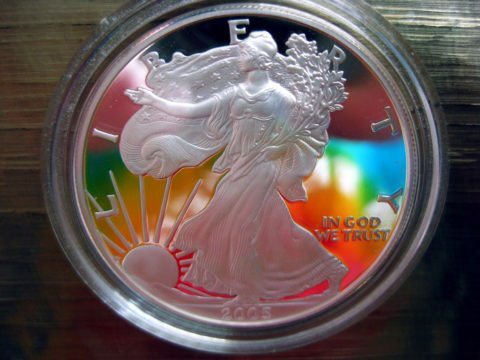 These coins certainly show some dramatic and beautiful depictions of Lady Liberty. In fact, you may be interested to know that the obverse designs for both of these coins now grace the silver eagle bullion coin and gold eagle bullion coins, respectively.